Oulu is a city and municipality of inhabitants in the region of Northern Ostrobothnia, Finland. 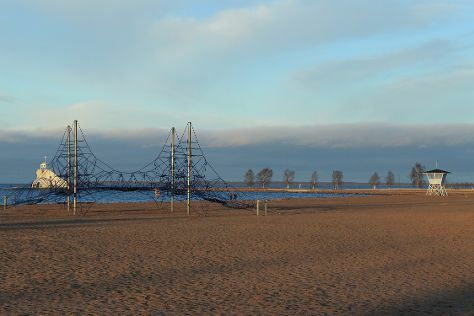 Attractions like Nallikari Beach and Hupisaaret Park make great kid-friendly stops. The adventure continues: browse the eclectic array of goods at Kauppahalli, tour the pleasant surroundings at Ainolan Puisto, test your team's savvy at popular escape rooms, and see the interesting displays at Pohjois-Pohjanmaan museo. To see photos, traveler tips, where to stay, and more tourist information, refer to the Oulu travel planning tool . In July, daytime highs in Oulu are 23°C, while nighttime lows are 14°C. Finish up your sightseeing early on the 2nd (Fri) so you can travel back home.